Amazing Events of 2013 | Notes from an often Calm Mother. Happy Mother’s Day to all Mums out there! Hope your day was lovely! For our Mother’s Day high tea, I whipped up a choc tart for the first time. It was delicious and I will re-name it Wicked Chocolate Tart due to the bitter-sweet balance and melt-in-your-mouth filling with oozing centre. And it’s super easy! Here is the recipe. 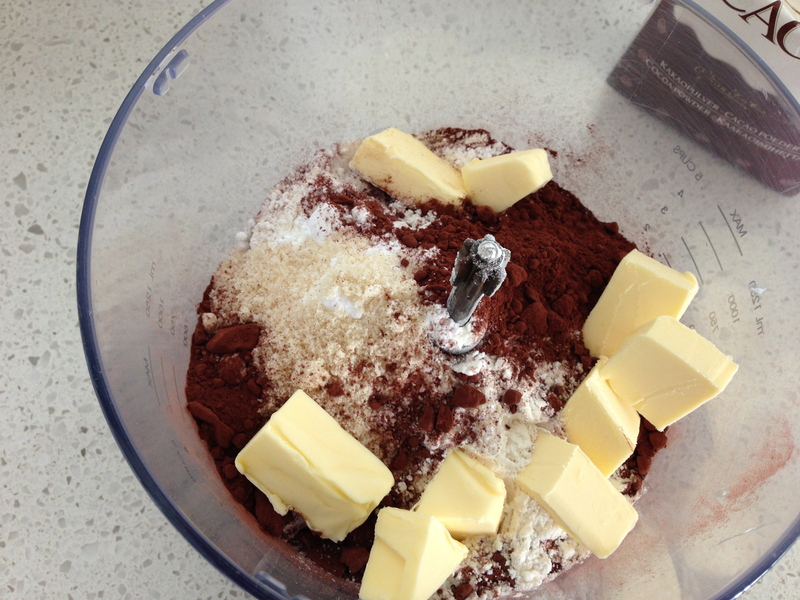 Process flour, icing sugar, cacao powder, almond meal and butter in a food processor until mixture resembles breadcrumbs. Add egg yolk and continue processing until just combined. Transfer mixture onto a floured surface and knead with love until smooth. But do not over-knead! Shape pastry into a round flat disk, cover with cling wrap and rest it in the fridge for 20 minutes. Roll pastry between two baking papers. Grease (with canola spray oil) and line the base and sides of a round fluted tart tin or baking dish. Gently place pastry into tin and trim the edges. Rest in the fridge for another 20 minutes. Line pastry with baking paper, fill with weights and blind bake for 10-12 minutes. Remove weights and bake for another 5-7 minutes. Reduce oven temperature to 150°C. Combine together custard powder, sugar and yolks in a medium saucepan. Add the chocolate, milk and cream and cook over low heat. 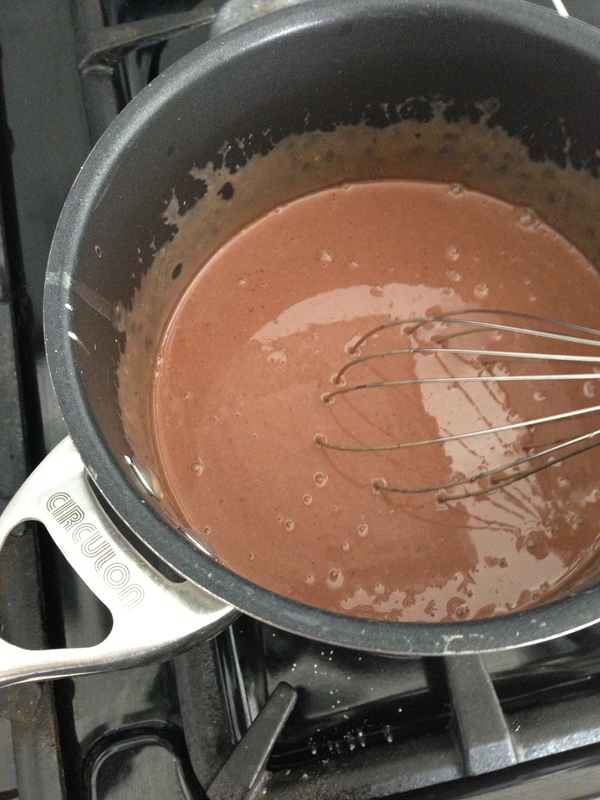 Whisk for at least 5 minutes until chocolate completely melts, mixture is thicken and is smooth and even. Transfer mixture into the pastry case and bake for 25 minutes, until filling is just set. Remove from oven and set aside to cool completely. Chill in the fridge or quickly in the freezer. Why buy ready-made custard when you can easily make one! * For an extra wicked tart, sift cacao powder on top. * Serve with strawberries and cream and enjoy with loved ones. 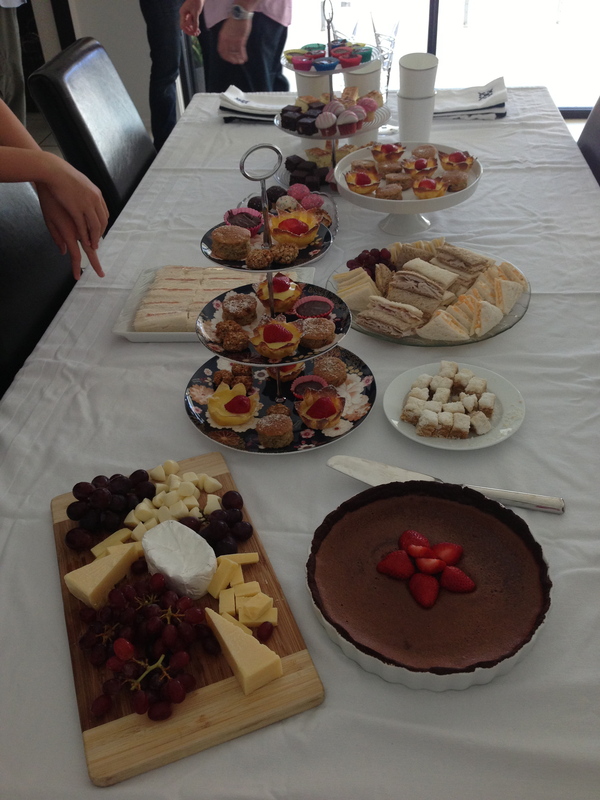 Last minute Mummy’s Day High Tea! God bless my darling husband. I adore my hubby.. but perhaps like most men, he has barely a concept for what it takes to host a party for 12.. plus kids. This afternoon he asked if we could host Mother’s Day this year. Don’t get me wrong, I love cooking, hosting and we recently moved to a house that allows us to comfortably entertain large groups. That will not be an issue. However, I am a planner and I like doing things from scratch. Perfectly. This combined, I am always making more work for myself than I should. For such event I have to devise a menu, pick a theme, ensure I have enough props, delegate what guests should bring, get the house cleaned, shop, start making/preparing. And I have 3 days to do this. My side of the family live overseas so this event is mainly for hub’s mum, nanna, sisters and sort of kind of me.. I’m more the hostess, which I do not mind at all. Anyway I decided to do High Tea – fiddly food yes, but easy to eat, hardly any post cleaning up and preparation can be done in advanced. 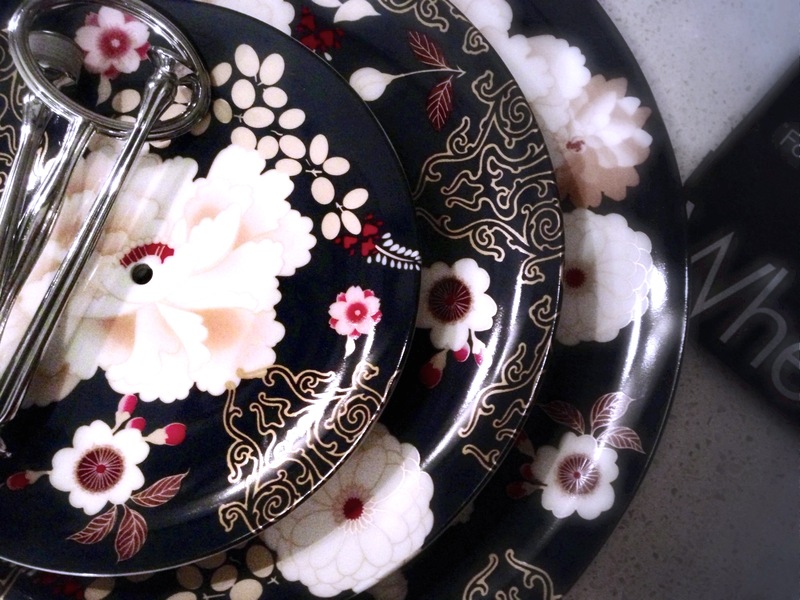 I got the hardest (rolling of eyes) task underway – Shopping for napkins and serving ware at Wheel and Barrow – LOVE that place (it’s similar to a mini Pottery Barn). I decided on a navy and blue theme. On the menu – dark chocolate tart, raspberry custard tartlets, assorted mini sandwiches, assorted mini quiche, fruity mocktail (a dash of vodka in mine work wonders!) plus healthy oatmeal cookies and mini banana muffins for the kids. Please check back in for recipes and photos! 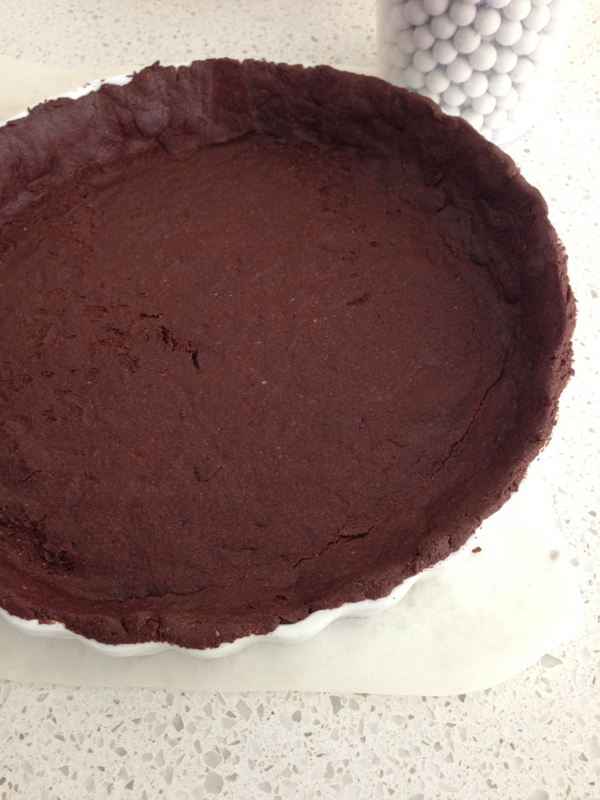 Have not made the dark chocolate tart before so wish me luck!